Each area of Mallorca is unique, with its own customs and traditions, its own climate and cuisine. You may be looking for a place in Mallorca close to wide sandy beaches, a nearby airport, a variety of golf courses, or an ancient hillside village. Just as there is plenty of choice when it comes to choosing a property in Mallorca, so there is a huge range of options when it comes to defining the area that is right for you. 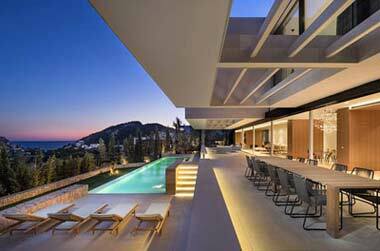 Before you choose your ideal property in Mallorca, you will need to find your ideal place. The best destination for you will depend on a range of factors, such as distance to the Son Sant Joan Airport, nearest beach, amenities and accessibility. This guide provides you with a useful snapshot of each region, together with details of all the major resorts and towns. Located in the North-East of the island of Mallorca, is one of the most attractive and with more personality towns of the island. It has an area of 151.7 km2 and a population of 14.000 habitants distributed in three small towns: Pollença, Port de Pollença and Cala Sant Vicenç. Pollensa offers an interesting number of possibilities to enjoy some great holidays: all kind of sports can be practiced (nautical and in the mountain), as well as a wide range of cultural opportunities. Pollensa is set against the hills and stretches until the sea, perfect to find whatever you are looking for. Whether you feel like relaxing on the beach, or go hiking in the mountains. There are also wonderful facilities to enjoy other activities, like good water sport facilities and beautiful golf courses. On the northern part of the island is on the slopes of the Mount Calvari is Pollensa and just a few kilometres further is Puerto Pollensa. Pollensa can be written in many ways, for example other writing you will be able to find are Pollenca or the Mallorcan way Pollença. In the old part of this township, great parts of its history can be found and still it has managed to combine this history with sophisticated refinement. Many tourists who have been in Pollensa before in hotel, villa or apartment, fell in love with this town. The main reason for this is that Pollensa is not overcrowded with tourists and has kept most of its traditions, unlike many of the other settlements on the Baleares. The surroundings of this historic town are beautiful. 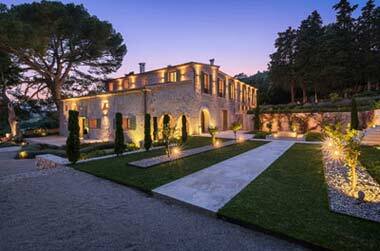 Set against the slopes of Mount Calvari, surrounded with serenity of the pinewoods. Pollensa is set against the hills and stretches until the sea, perfect to find whatever you are looking for. A few kilometres from the old city centre is Puerto Pollensa, this part of the town is known for its beautiful beaches. This part of town can not be compared with the old city centre. There are several big and small beaches in the area of Puerto Pollensa. The Pollensa area also has a blue flag beach, Cala Formentor, this means that Puerto Pollensa has a beach that meets a high level of standard. 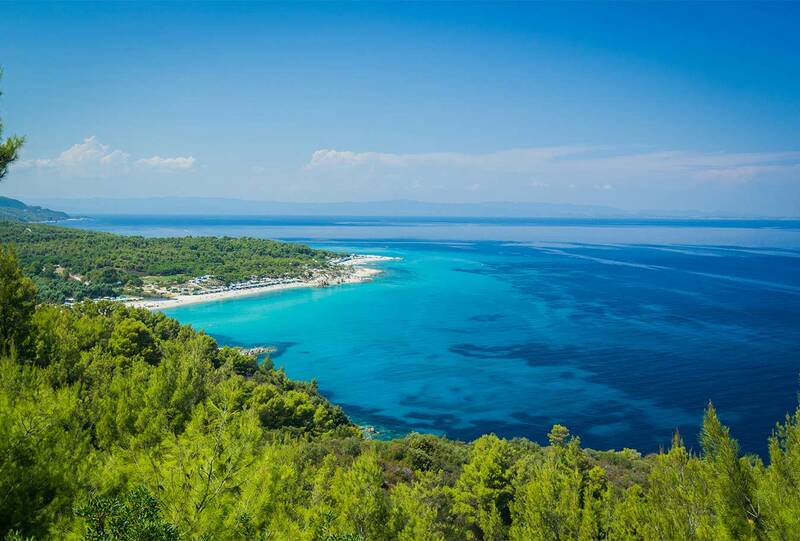 The backdrop of pine trees, fine sandy beaches and warm crystal blue waters attracts people from around the area. It is very easy to get from Puerto Pollensa to this beach, if you take the road out of Puerto Pollensa to the north east part of the island. Cala San Vicente is one of the smaller, but also one of the most beautiful beaches in the area. For a real relaxing day on the beach Cala Estremer is an absolute must. This 50 metres long beach with fine white sand can only be reached by boat. Another fairly isolated beach with fine white sand is Cala Castrell, this beach can also be reached by boat. Together with Cala Estremer are the two isolated beaches in the area, which can only be reached by boat or foot. Other beaches you will be able to go to when you have a property in Pollensa are, Cala Murta, Cala Figuera, and Cala Boquer. The beach at Alcudia is 6 miles long and stretches as far as C'an Picafort. Alcudia joins with Playa de Muro which is home to S'Albufera; a natural park that is under protection and it is very usual to see diverse fauna. From the Port D'Alcudia you can take boat trips around parts of the island and also get a ferry to Menorca and Barcelona with daily services. Alcudia is known for its long golden beach that slowly flows into the sea. Alcudia offers great facilities for almost all sorts of water sports. Or you could just take a stroll on the beach or walk past the marina. If you want something other than the water, Alcudia also offers tennis courts, horse riding and much more. The surroundings of Alcudia are some of the best, for example next to the town is the national park La Albufera. Every year many birds come up here to nest. Also there are many walking/hiking possibilities and the Virgen Caves, with beautiful beaches. Ranking top in Spain for quality of life and among the top four European cities, it is no wonder that Palma de Mallorca is such a popular place to set up home. A thriving local community with a strong Mallorcan identity lives alongside an ever-growing international population. The city offers many different kinds of area and property. The prestigious Old Town (Casc Antic) and Santa Catalina have arguably the most charming districts and architecture on offer. Organised walking tours offer the opportunity to see a selection of the renowned little palaces with their elegant interior patios, admired by photographers & artists alike. The area along the seafront, the Paseo Marítimo, is the natural home for the jet-set, with its luxury apartments; fast pace of life and proximity to the marina and Port. In general, the most developed areas, or the most mature developments, are in the Southwest, extending beyond Palma into the Palmanova and Portals Nous areas. These tend to be the most strongly English-speaking areas and offer a range of International English Schools, as well as a French and German school. Flanking the Bay of Palma to the West are the equally well-developed areas of Arenal, and cheap and cheerful Magalluf - perhaps the best-known of the resort areas. Some of the most spectacular properties are between these areas and the City of Palma, with Portixol and the fishing village Molinar offering an especially charming prospect Bendinat, with its stunning golf course and properties. Santa Ponsa offers a multitude of golf properties; semi-detached houses or apartments in well-kept communities directly off the golf courses. 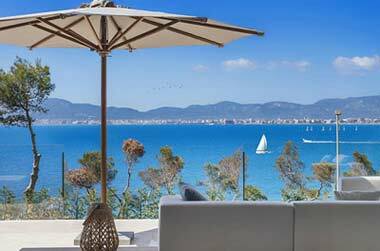 The new developments in the quiet urbanisations between Nova Santa Ponsa and El Toro offer detached houses, beautiful communities and luxury villas, built in the hills with splendid sea views with south orientation. The demand for plots in these urbanisations has clearly risen during the last two years and the existing plots between properties are vanishing quickly. If you would like to build your dream home here, don´t wait! In Sol de Mallorca the picture is very much the same, with demand for plots and properties rising quickly. Generally speaking, the urbanisations in this area have developed into exclusive village locations with an excellent quality/price ratio. Nova Santa Ponsa, with its internationally recognised 18–hole course, has tended to be the area of choice for golf lovers and the fashionable, where traditional farmhouses stand alongside avant-guard, exclusive villas and palaces. Within ten minutes of this course there are three more available at Poniente, upmarket Bendinat and Camp de Mar (Andratx). Port Adriano yachting harbour and marina is situated in the El Toro area close to Santa Ponça. The new extension of the facilities, by 85 moorings, has brought with it a new sailing school and improvements to the adjacent beach, transforming the zone into a glittering showcase of elegance. East of the rocky Andratx shore, the coastline becomes softer, with fine sandy beaches and tourist enclaves, such as Paguera, Costa de la Calma and Santa Ponsa. This is largely national park and has some of the oldest woodland of the Mediterranean, if not Europe. For fabulous views and a favourable climate in summer, the wealthy have for centuries been choosing to take a summer residence in the area. Distances here can be deceptive, the roads often tortuously twisted and not for the faint-hearted driver. The exquisite views and detailed land husbandry, terracing and stone houses have attracted countless artists and writers, especially to the tiny village of Deià, which suffers somewhat from the sheer numbers of jetsetters in midsummer wishing to enjoy an artistic way of life. The ever-popular and exclusive area of Andratx forms the Western end of the Serra. If you wish to set up home within a living landscape, this is the region for you. Some of the loveliest locations are in this region, including spectacular Artà and the magnificent beaches of the Manacor area and Capdepera. Spring comes to this region a little bit earlier, because of an especially favourable climate, and the almond blossoms here are first to bloom. Sweeping landscapes and the sea – who could want for more? Cala D’Or, with its superlative harbour and sandy beaches, is a bustling holiday resort on the Southeast coast. Popular with families, this area is not for those who seek a life in the wild spaces of Mallorca. It is better suited to those who prefer the charm of natural surroundings without suffering any of the inconveniences. Buildings and houses in Cala D’Or are built in the traditional Ibizenco style and are nicely integrated into the natural environment, with no tall structures to disrupt the landscape. Artist Pep Costà, who founded Cala D’Or about 50 years ago, left a permanent legacy of construction norms, to this day officially enforced as part of building regulations. According to these, construction has to be flexible to accommodate the natural environment, which must take priority – the course of a road, for example, yielding to a pine tree. With some of the lowest starter prices on the island, Cala D’Or is all in all an attractive prospect for clients looking for a holiday home. Porto Petro, Also within the Cala D’Or area is Porto Petro, with its harbour originally dating back to the sixteenth Century, when it was used to export the excellent Santanyí sandstone, prized throughout Mallroca and beyond for traditional building and stonework. Towards the end of the nineteenth century, commercial activities declined and the harbour reverted to a fishing port. Nowadays, the Royal Nautical Club is located in the picturesque port, mostly used by leisure yachts and the ferry to the renowned natural park of the archipelago of Cabrera. The Vall D’or Golf course, easily accessible from Porto Colom and Cala D’Or, enjoys magnificent views of the Mediterranean and combines a variety of terrains, including woodland and olive groves, to make for an entertaining, but not too difficult course. The environment naturally also provides magnificent lifestyle and investment property opportunities. The glittering bay of Cala Murada offers unspoilt shores, with a bay of fine sands as well as the kind of rocky coastline so suitable for snorkelling and fishing, plus a backdrop of natural Pine Hills. Careful planning and development offers that rare commodity, beachfront properties which do not spoil the scenery and quality of life for others. For proximity to nature alongside all the infrastructures of a well-planned resort, and the comforts of modern properties, Cala Murada could be your location of choice. 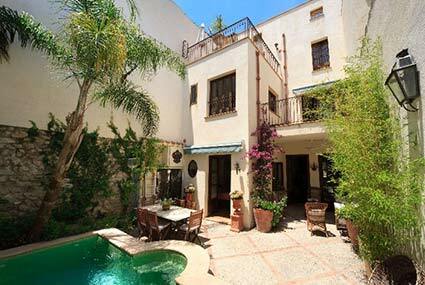 The Santanyí property is also very lovely, and within your budget. In case you do not already know, Santanyí, on the Southwest coast, is one of the finest beach areas of Mallorca, much loved for its scenic rural landscapes, especially at almond-blossom time in late February. A lively international artist community is active there. The southern tip of Mallorca, has the coastlines and fishing possibilities which mostly attract the locals, who choose Colonia de San Jordí and Sa Rápita for a second home and spend the summer months down south. The choice of location is for the quality of beaches, the cleanliness of the water and abundance of fish and the favourable winds and currents. And while there are plenty of eateries and shops, this area does not have a touristy feeling to it. The rural areas of the South of Mallorca are among the most sparsely populated regions of the island. The flat scenery, mostly farmland, stretches from Llucmajor and Campos to the sea. For those who seek peace and quiet as well as proximity to the beach and airport, there are jewels of country houses with and without plenty of land waiting to be discovered off the beaten track. This central plains region is considered to be the most authentic of Mallorca. Oblivious to outside influences, an agricultural way of life continues to dominate the landscape, which is dedicated to grain crops, livestock farming including sheep and pigs, and in certain parts – most notably Sta Maria and Binissalem – to vineyards. Sta Maria: an excellent location, in the town of Santa María. In case you are not familiar with this town, it is the next market town outside Palma, famous for its vinyards and market, with a lively, cosmopolitan feel to it, a number of renowned restaurants, while at the same time being very rural. 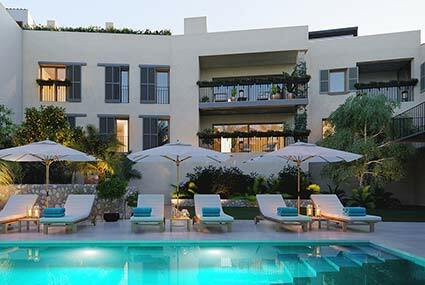 It has the added advantage of being on the train line, making the city centre of Palma accessible ten minutes away. The mountains create a picturesque backdrop to the corn-wafted, poppy-blown plains. This is the ideal place for those who appreciate the views of rural life without the winding roads of the mountains, who like the searing heat of Summer or else plan to be absent in August. It is the natural base for business owners who ply their trade all over the island, or for those who wish to savour the delights on offer island-wide and travel to a different beach each day. Properties in this area still tend to be better value for money than elsewhere, because they are furthest from the beach and have attracted fewer outside settlers, although this is now changing. Access to the capital, Palma, on the other hand, is excellent.